The Manifesto Club's Visiting Artists Campaign forced the Home Office to back down over red-tape immigration rules that were having a direct impact on non-EU artists. Manick Govinda explains how they did it. 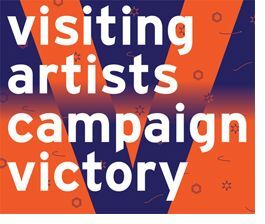 What is the Visiting Artists Campaign? The Visiting Artists Campaign is our response to the UK Home Office’s visa restrictions on non-EU artists and academics which was introduced by New Labour in late 2008. The Labour government of the time introduced a highly controlling bureaucratic authority called the UK Borders Agency [UKBA] in April 2008, a single force to manage all forms of migration and visits to the UK by non-European Union nationals. What this meant for the arts was that every single visit by overseas artists, writers, musicians had to be regulated by the host through a points-based system [PBS] of immigration control. It was costly and burdensome to the host, who had to apply to be a licensed sponsor in order to invite guest artists to the UK for short visits – whether this would be for exhibition openings, artist residency programmes, talks, or collaborative activities with UK artists or communities. There was also a strong degree of monitoring, surveillance and checking which broke down relationships based on creative dialogue, conviviality and cultural exchange to a performance to bureaucracy, thereby breaking down trust, friendship and artistic risk-taking and experiment. We decided something had to be done about it, so I started a petition with the support of the civil liberties group, The Manifesto Club. I was a member of the Manifesto Club for a couple of years and stood by its principles of free expression, free movement and free association. It therefore felt right for this campaign to have a grassroots context for getting the message off the ground. Initially, I began to raise awareness of how these draconian rules would control and diminish international cultural relationships by writing about the situation for a-n Magazine and Blueprint Magazine, calling for action. I then batted the statement for the petition around with a number of people like Emily Pethick at the Showroom, and Afterall Journal as coincidentally they were the first victims that I knew of who had fallen foul of the new rules. The Russian photographer Dmitri Vilensky was refused entry on arrival at Heathrow. He was invited to give a talk, and only intended to spend a few days in the UK, receiving onlu a tiny fee of about £200. Because he wasn’t sponsored (Afterall nor Showroom knew anything about the new rules), he was sent back. Apparently, before the new rules, Dmitri used to come to the UK quite easily for short invited visits. I called in some friends and professional colleagues, and sent the petition statement to them. They were horrified about these new measures and signed the petition, canvassing their peers and fellow artists to support. It was a concerted effort by myself, Josie Appleton convenor of The Manifesto Club, and some champions such as Emily Pethick, Peter Jenkinson, Gill Lloyd (director of Artsadmin), Iwona Blazwick, Helen Marriage of Artichoke who all helped us in getting the word out. Peter Jenkinson was brilliant as he mentioned it to the arts correspondent for The Observer Vanessa Thorpe. She reported the story and helped us launch the petition through an open letter to government in The Observer. The signatures and awareness rocketed, and more stories came to us. We then began collecting testimonials. The campaign gained support from across the arts sector, including visual artists, musicians and gallery directors. How did you get people involved? It was a question of just getting in touch with people I knew who got the petition statement out to people they knew – Artsadmin and the Manifesto Club networks, music bloggers, a-n Magazine, Blueprint, Free Muse, English PEN, Visual Arts & Galleries Association to name a few. We had some resistance – the Musicians Union refused to support the campaign as they were safeguarding “British Jobs for British Workers”, and the National Campaign for the Arts preferred the quiet behind the scenes negotiations with UKBA and the Home Office which only engaged with umbrella “industry professionals”. It was secretive, and actually rather pro-PBS. It didn’t want to rock the boat hugely. For us at the Manifesto Club it was important to garner direct support from writers, artists and musicians and arts organisations who engaged with international work. We also wanted to ensure that grassroots and small arts projects had a voice so it was important for us to get amateur arts enthusiasts on board – from Tango dancers to experimental art! It worked, and we managed to get 11,000 signatories for the petition! Were digital communications important to your success? Extremely important! Our petition was online, the Manifesto Club published the stories and testimonials online and Facebook was a brilliant vehicle. We set up a Facebook group which eventually had over 5,000 members from all corners of the world! Numerous bloggers wrote about the issue, and I contributed more articles for online publishers such as Spiked. We were able to keep a register of petition signatories of those who agreed to share their email addresses to us, and we kept them regularly informed of new cases, new incidents of refused border entry and refused visas. We were able to publish the shocking and Kafkaesque letters of refusals from UKBA officials. It gave a strong human narrative to the bureaucratic abstractions and counterpoint to their stories of “illegal immigrants”, “border security” and “criminal underworlds”. The stories we disseminated weren’t stories of artists hiding out in the back of lorries or risking life through criminal traffickers. These were people who flew, took trains, made their purpose of visit clear and yet would be deported or refused visas! However, public meetings were also very important for people to get together and also do what artists do best, make art and perform in solidarity with those artists and performers who were unable to come to the UK. It was also important for me to make alliances with the student movement against these visa controls, such as the Student Not Suspects groups at Goldsmiths College and English PEN who were hugely influential with literary figures. The word got out and people approached us wanting to help the campaign. The wonderful novelist Kamila Shamsie came on board and committed a tremendous amount of time, energy and influence to the campaign. I felt extremely honoured and touched to have her on board. How did you engage with government? My first engagement with government was when I received a call from Lord Tim Clement-Jones who wanted to raise a question about the detrimental impact the new immigration rules were having on the arts. He found out about the campaign through the news feature in The Observer. We supplied him with some background information, some case studies, some well known names who signed the petition and he raised a serious question in the House of Lords and wrote a story about it for e-Politix, the UK/s leading political news website. After reading the Lord Clement-Jones feature the Earl of Clancarty, Nicholas Trench, got in touch. He met up with Josie and gave us his full backing and support. He was hugely instrumental in planning a 90 minute debate on the issue in the House of Lords. He was also influential in securing an open letter in The Telegraph signed by over 100 well known writers, artists and arts professionals. Josie, as civil libertarian activist also had good relationships with the columnist and writer Henry Porter another strong civil libertarian. He was brilliant as he didn’t mince his words about what he thought of the regulations and what he thought of the Labour Immigration Minister Phil Woolas. Phil Woolas was incensed and wrote an angry but very defensive response to Henry Porters Blog. It was then that we knew then that we were ruffling feathers in government! Being a member of the Mayor of London’s Cultural Strategy Group also allowed me to influence the Mayor Boris Johnson’s thinking on the issue, and from the very early days of the campaign I was briefing his Culture Advisor Munira Mirza who also played a hugely influential role on the issue. She put some resources into gathering more statistical evidence from London’s cultural organisations about the impact the Points-based and visa regulations were having on London. This was exactly what the campaign needed to combine with the Manifesto Club’s more qualitative narratives and stories. A call for a review on the visa regulations was also included in the Mayor’s Cultural Strategy for London. I’m not the most confident networker, but quietly getting on with lobbying while loudly writing about it seemed to have some impact! The open letter and the story in The Telegraph was the turning point. The responses by New Labour were terse and closed – no dialogue. Ironically, the coalition Lib-Conservatives acknowledged that the Points-Based System was too complicated and bureaucratic, but they were not about to dismantle it. The immigration cap which they introduced was a blunt guillotine, but our message to them and to UKBA was that short-term professional visits by non-EU artists are not immigration or national security issues. In fact, these relationships and experiences foster greater mutual understanding, respect and value to art and cultural relationships. Eventually the UKBA made a significant break through the bureaucracy. A new route was introduced called the Permitted Paid Engagement [PPE] visitor route, which allows for visits of up to one month without hosts and individual artists, writers and performers having to go through the highly controlled and regulated points-based system. It’s a significant gain, and a qualified success. The new route was only introduced in April 2012, so it’s early days yet to assess how successful it has been. We’re keeping a watchful eye on it. The new route is a very positive outcome, but we are still concerned about it. A one-month limit is clearly not suitable for some situations such as artist’s residency programmes, or longer runs in the live touring circuit. We are also concerned that the emphasis of the new PPE is only for full-time professional artists. How can you assess if an artist is full time? How many UK artists do we know who are full-time? UKBA need to understand how the sector works more, so we are pressing for them to change some of their terms. Another area where we will be focusing more attention on is the Tier 1 Exceptional Talent visas for artists, performers and writers who wish to apply to stay in the UK for between 2-4 years. There is an allocation of 300 visas for the arts sector, and Arts Council England assesses the applications and makes the recommendations to UKBA. When Nick Trench, Robert Sharp of English PEN and I met with Arts Council England about the lack of interest for these visas in March 2012, we found out that regarding the quota of 300 artists visas, of the 31 applications received only 8 were endorsed (awaiting final approval by UKBA). Could this be a case of poor publicity, setting the bar too high or artists and writers feeling more welcomed in other countries? The costs for these visas are also exhorbitant at £800. A huge loss of money if you’re turned down. Our work is far from finished.